My roommates and I have figured out that – despite what the label says – is it perfectly fine for human consumption. Organ meats are extremely healthy when the animal is pasture raised. And you can’t beat the price. The one thing we have learned is that it doesn’t taste good as burgers. Chili or meatloaf is ideal. No medium rare. It tastes best at medium well. Below is my Pet Food Meatloaf recipe that was a huge hit recently. 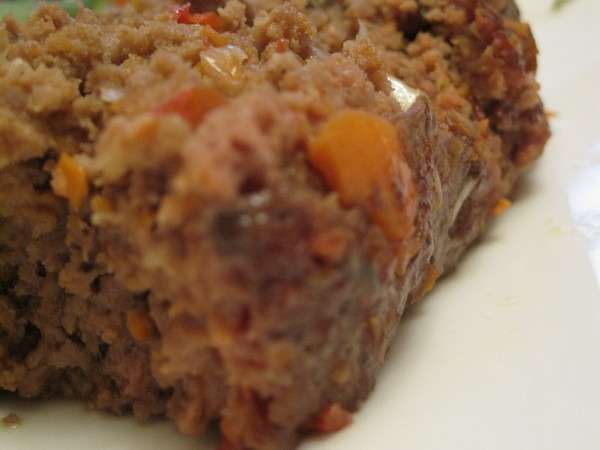 Summary: Using pastured “pet food” ground beef to make meatloaf. In a food processor blend onion, pepper, carrot and garlic. Combine beef, spices and veggies into bowl and mix by hand. Place mixture into an oven safe pan. Cook for about 35-40 minutes. Test with meat thermometer until center is 155-160 degrees. This is a very fatty meatloaf. You can pour off some of the liquid if you like. Also using a coconut flour will add some thickness. The “pet food” is of course optional. Feel free to use regular ground beef for the entire meatloaf if you like. 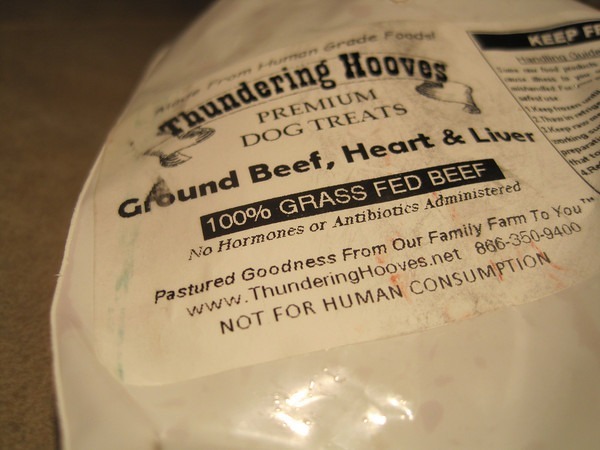 I’m assuming that you asked Thundering Hooves why their label says “Not for Human Consumption”? If so, what did they say? Dude, I’m with you on the Thai “stick food” but “not for human consumption” labeled food? That’s a little scary..